…or what happens at 10 past 10? …or a celebration of conformity in the PR-business? Search for any image of watches… chances are 90-99% of them show the time 10:10. Why is that? Conspiracy? (Illuminati?!) Brain washing? Lack of imagination? EU/US standards? Laws against unjust competition? Fear of competitor advantages? Fabric settings? I have no clue… But I do have 50 images of watches, all set to somewhere from 10:05 to 10:15… most almost spot on 10:08 or 10:12. There are a few “wild” ones out there going as far as 10:20… but that’s Nike… and look… Diesel also goes to 10:20… Both are digital… New conformity? That’s all good and well… but… the digital clocks…? None of the above reasons are valid for them… other than the fact that setting them to 10:10 or similar follows some company policy. Timex sets their clocks to 10:09:36 exactly, just to mention one such company policy. Things worth explaining are seldom that easy to explain. You can’t give life back to the dead, so maybe you shouldn’t be so eager to take it from the living? Isn’t the death penalty just another kind of murder? And what gives the executioner the right to do something no one else is allowed to do? You can’t compare murderers to wild animals in order to justify the death penalty because people aren’t animals! 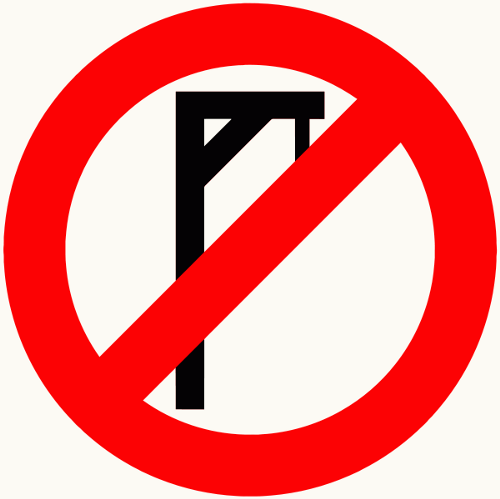 Personal reasons and lust for revenge is not a valid reason to ask for a perpetrator to be executed–personally involved people aren’t even allowed to serve as judges or in any other official capacity in the court proceedings, the sentencing or the punishment (the term is “disqualification,”) why should personal reasons be used to demand the death penalty? If you use bombs to promote your political agenda, the risk is, people won’t hear your message over the explosions. Those who think they’re not communicating…. Anyone wanting to send a message in film should go to the telegraph office instead. Those who think they can open their mouth – or even stick their head out the door – without communicating something, are fooling no one but themselves… And the likelihood of these people communicating anything of interest is probably purely coincidental. Time to put the IT-business out of its misery? I’ve decided software patents pisses me off… and if they are allowed to be honoured 100% as patent laws intends it… we could just put the IT-business out of its misery and go back to pen and paper (unless there’s a “writing” patent out there somewhere?) … or perhaps we should “call software patents as we see them” and put them out of their misery…? US 5566337 – owned by Apple, A.K.A. the Observerpattern. Kiss SWT, Swing and almost all other GUI frameworks goodbye – they use observation to handle events such as clicking a button. An alternative would be to have one application that can run several “programs” like different Wordfiles… or wait… wouldn’t that be just like an operating system starting an…. Application… oh well.. who needs applications… and anyway… who needs to switch between them? Let’s play “Windows” again… it’s an application… right? Now why can’t I have those patents, and why do I not deserve them? Ah well… I want to write a bestseller anyway… perhaps I should do a “Grisham” and write about a patent breaking IT company that feeds their employees to the sharks in order to prevent exposing their evil deeds? Humans are in fact not that different to other species. We make a little bit more complex sounds and our territorial behavior is a bit more involved, but to say we’re the crown of creation is rather self-involved. The most that can be said about mankind’s standing in the family of species is that we’re the black sheep, or the obnoxious kid sibling everybody has to put up with, or mom and pop will give them a hairy eyeball.